Lurantis goes on the offensive! Join us this week as Ash takes on the Totem Lurantis in the latest episode! 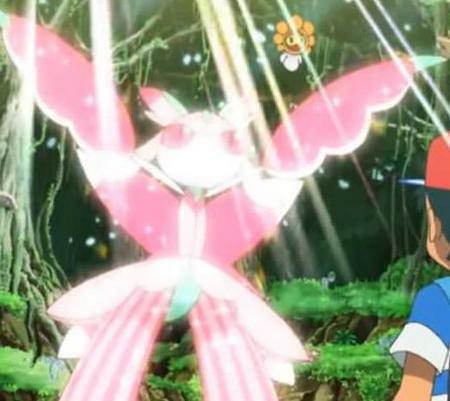 The episode starts off with what seems to be a battle between Ash and the ‘Queen of Akala Island’, Olivia for the Island Trial. Ash sends out Litten, only for its Pokéball to fall flat onto the floor. Ash decides to try again, this time choosing Rowlet. However, the same thing happens again! 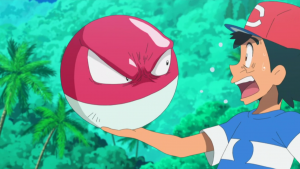 As he picks up the Pokéball to see what happened, it expands and turns into a Voltorb, before exploding! Oh no! 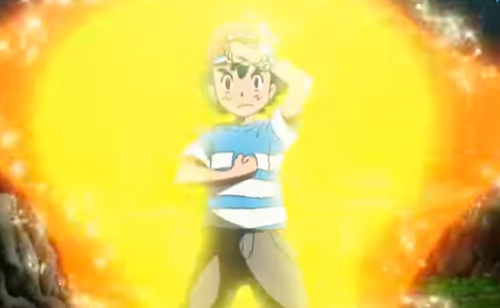 Ash then wakes up from this awful nightmare, firing himself up for his visit to Olivia’s island today. In the classroom, Kiawe’s Turtonator and Marowak continue to aggravate each other, until Marowak eventually headbutts Turtonator! Kiawe returns them to their Pokéballs, clearly frustrated. Olivia and Kukui then enter, ready to start today’s class, cooking the famous Akala Curry! This gets mixed reactions, with Mallow being very excited, whilst Lillie and Sophocles are more than unamused. Olivia and Kukui then explain that not only will they need to cook this dish, but they will also need to pick the ingredients to make the dish. The group is split into pairs and given some ingredients to find, along with some maps to help them along their way. They can’t cook the curry without all of the ingredients, so this is crucial! Ash and Mallow set off, firstly searching for the “Magician’s Berry*”. They stumble upon it at the top of the hill and what they think is spinach, before Rotom-Dex reveals they are in fact Formantis, the Mantis Pokémon! They appear to be sleeping, which soon changes when Ash shouts, waking them up! The Formantis wake up and start barraging Ash and Mallow with Leafage! 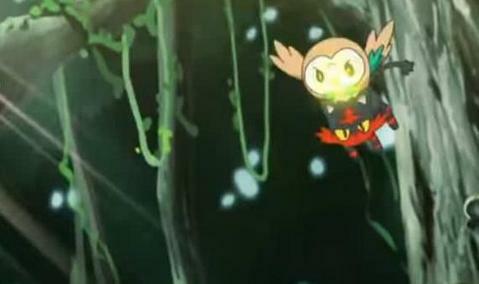 They decide to try a different approach, using Rowlet and its silent flying to fly over to the tree to retrieve it. However, Rowlet only manages to make the outbound journey, falling asleep JUST before the berry. Pikachu then comes up with the great idea of tiptoeing around the Formantis, which goes well until they encounter a hidden Parasect!! Parasect shoots spores around the group, causing them to almost sneeze and wake up the Formantis. They finally get to the tree but Ash falls at the final hurdle, stumbling and landing face first into the mud, causing everyone to laugh. Even worse, the Formantis have awoken once more! They start with another Leafage barrage, which Ash tries to neutralise with Rowlet’s own Leafage, but to no avail! With no choice but to run away, everyone flees from the field and makes their way to the “Resurrection Spinach*”, which they find with relative ease in Stone Mountain. Next up, the Miracle Seed! …and enter a secluded grove in a forest! The first thing noticed by Pikachu is the massive hollowed-out trunk full of fruit! Ash forages through and finds their last ingredient: the Miracle Seed! However, just as they think about leaving, a huge Lurantis appears in front of them. Even worse, it looks like it’s the totem Lurantis! It starts its offence straight away with a Petal Blizzard! Ash retaliates with Litten’s Ember, it’s super-effective! Lurantis however, responds by charging up a Solar Blade; Litten manages to stall it a little bit by scoring a hit with Fire Fang. However, Lurantis still manages to unleash its devastating Solar Blade attack. Lurantis then cries for help, summoning a Castform-Sun to the fray! Litten gives its all against the Totem Pokémon! With sunlight on its side, Lurantis can now charge its Solar Blade quicker and recover lost energy in the sunlight! Ash tries a double assault with Rowlet’s Tackle and Litten’s Ember but Lurantis shrugs it off and recovers its energy. Ash decides that as long as Castform is around this is going to be an issue and decides to take it out! Lurantis: sunlight, lend me your power! Rowlet picks up Litten, flying straight at Castform and performing a double team of Tackle and Scratch respectively. Castform retaliates with two Water Guns in succession, with Litten dodging the first and Rowlet taking the second one. Rowlet scores another tackle on Castform, knocking it out cold and removing the harsh sunshine, weakening Lurantis. Ash’s double battle techniques usually work quite well! With Lurantis now weakened, Litten gets up and charges straight at Lurantis with its Z-Move, Ultra Dash Attack! A direct hit! Lurantis is knocked out!! Z-Moves can really turn the tide of battle! With the battle over, Mallow hands out the Revival Herb to the Pokémon (to their dismay), reviving them. A revitalised Lurantis and Castform hand Ash a Grassium-Z Crystal! Olivia then bursts out of the bushes, revealing that this was a trial set up by her all along and that Ash has passed, so he can now challenge her! Everyone then gets back to the classroom to enjoy the Akala Curry. Well, apart from Ash, he struggles to eat it as it’s too spicy! And that’s a wrap! What a great episode, lots of action and great teamwork by Rowlet and Litten! Now time for Ash to move onto the Island’s Trial! Will he pass it? * “Magician’s Berry” appears to be the Mago Berry, whilst the “Resurrection Spinach” appears to be the Revival Herb.  Edited by Radiating, SirBoglor and Z25.